You rocked your cardio session. You followed up with some work on the mat. You stretched. You posed. You sweated. Now you’re ready to hydrate. There’s some debate as to what makes a good recovery drink — some say sports drinks, others say protein shakes or powders are best. 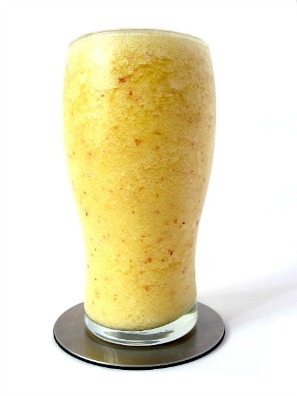 Smoothie lovers would argue that an antioxidant blast of fresh fruit and veggies make the ideal post-workout beverage. However you choose to hydrate, make sure you’re replacing lost fluids and giving your body the boost it needs when your workout is complete. 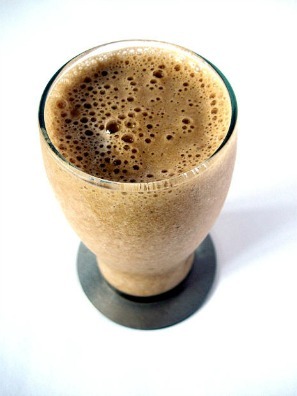 Here are some yummy post-workout drink recipes you’ll want to try. There’s no magic to making any of these beverages. 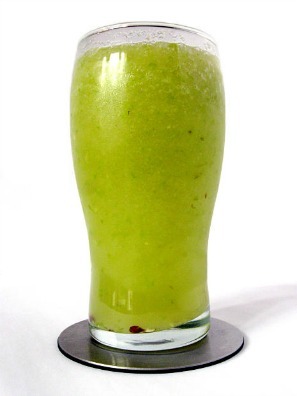 Just toss the ingredients in your blender or other gadget and transfer to a cold glass! You don’t have to have any culinary skills to make your own smoothies or beverages. Don’t be afraid to experiment with any ingredients you enjoy. The following tips might help you make your drink as tasty and nutritious as possible. Kimberly Snyder, CN and author of The Beauty Detox Book said, “Green vegetables are among the most nutrient-dense foods.” They help keep your body balanced, which is essential for optimal health. In addition, green vegetables help raise the alkaline levels in your body. Too much acidity can promote illness and accelerate aging. Spinach and other good greens pack a nutritional punch without disrupting the flavor of your smoothie. Buy organic ingredients whenever possible, especially when it comes to spinach, as the EWG (Environmental Working Group) says it’s among the dirtiest produce you can purchase. It’s one of the most heavily sprayed with pesticides, along with apples and strawberries. 3. Bananas are the Bomb! Try to include a banana in your post-workout beverage, or eat one before you work out. The potassium in a banana helps stimulate your muscles, nerves, and brain cells, and because they contain tryptophan, they help your body produce the feel-good brain chemical serotonin. Peel them in advance and place them in a freezer bag. They’ll be cold and ripe when you need them! Use frozen fruit and ice to help cool you down post workout and make your beverage more refreshing. The ice will also thicken the drink, so it feels more substantial. Add nuts for added protein. Sprinkle a few on top or pulse them in your blender or gadget before adding to the recipe. What’s you favorite thing to drink post workout? Share with us in the comments below!